Being quality oriented organization, we are offering Cast Iron Sluice Valves / CI Valves to our clients. 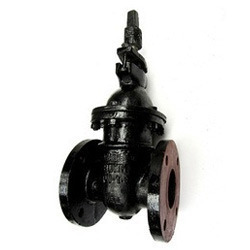 Manufactured by experts employing cast iron and casting technique, these valves are designed for long term application. These valves are well polished which provides protection to these from abrasion and other effects. These valves are offered in different size range to our clients. Most importantly, we are offering these in bulk. R.S. Valve & Products was founded with an aim to enlarge its base of customers by making desirable solutions available to them. Established in the year 2000, our company has focused all its endeavors towards manufacturing, supplying, exporting and trading a comprehensive array of Control Valves, Sluice Valves, Pipe Fittings, Earthing Equipment, Manhole Covers, Lighting Poles, Pig Leads & many more. We also specialize in offering a remarkable Fabrication Services to the clients. All our products and services are acknowledged for their unmatched attributes as we make no compromise in terms of quality and incorporate quality material in the fabrication of our entire gamut. The material we utilize for manufacturing our range is sourced from the highly renowned and authentic sources of industry, whom selection we have made after conducting several stringent market researches. Within very short time period of our establishment in industry, we have become the fastest growing firm of industry just for making best products as well as services available to the customers. As a result of which, today, we have expanded our client base not only in domestic but international markets also. We trade in some of the leading brands products like Tata, Jindal, etc. We mostly export our products in Dubai, Saudi Arabia and South Africa.